Outer space: Can we make Mars or Venus habitable? Who wants to move to Mars? This is a tasty question. Simple answer: Mars, because it already has a day which is about the right length, and heating planets is easier than cooling them. Complicated answer: HOW much more difficult is it to terraform various planets? To answer this question, I’m going to estimate (to order of magnitude) quantities of energy necessary to do stuff and express that in easily understood terms. Energy is measured in Joules (J). One joule is the energy necessary to heat a gram of water by about a quarter of a Celcius degree. Not very much! In order to measure larger quantities, I use scientific notation. As an example, . The 6 means six zeroes after the 1. Scales like the Richter scale (for earthquakes) and decibels (for sound) would use just the 6 and be done with it! Various amounts of energy in Joules and what you could do with it. : Energy required to boil one teardrop. : Energy released by eating 1/8 of a peanut. : Energy required to boil a bottle of beer. : Energy produced as electricity by a typical utility scale power plant in a second. Energy contained in a tank of gas. : Kinetic energy of the space shuttle in orbit. : Energy produced by a power plant in a month of continuous operation. Energy released by a large fission (not fusion) nuclear bomb. : Energy released by a large earthquake. : Energy consumed by the whole world in 2 years. : Energy required to raise ocean temperature by 1 Celcius degree. Energy released by a huge meteorite impact. : Energy required to boil the oceans. Energy produced by the sun in 10 seconds. : Energy produced by the sun in 7 hours. : Energy required to vaporize the Earth. Also the energy produced by the sun in a year. From this, we can conclude that the Death Star is a BAMF. I’m happy to go into details in the comments regarding these calculations. I’ll also explore a few different scenarios. Energy required to heat Mars from current average temperature of -60C to a more comfortable 15C (like Earth): . This is mostly in melting permafrost. Note that this is 10 million times more than the energy produced by the largest nuclear weapon ever built, so simply nuking Mars will not really help that much. It is, however, on par with the impact that wiped out the dinosaurs. Energy required to move a 10km asteroid onto a Mars (but not Earth) impacting trajectory: , or if you’re prepared to wait a long time and use three-body interactions. A hundred smaller asteroids of the same total mass would be easier but still require the same total energy. Conclusion: Asteroids/comets are tricky propositions, rather energetically painful, and messy. A big enough impact to melt all the permafrost and as a result reconstitute the atmosphere would likely make Mars a terrible place to live. Lots of dust. Dust cools the atmosphere and buries rovers. That said, it’s possible that big hits in the past have temporarily warmed the planet for a few million years, and xenobiologists find that exciting. Clearly, some subtlety is called for. 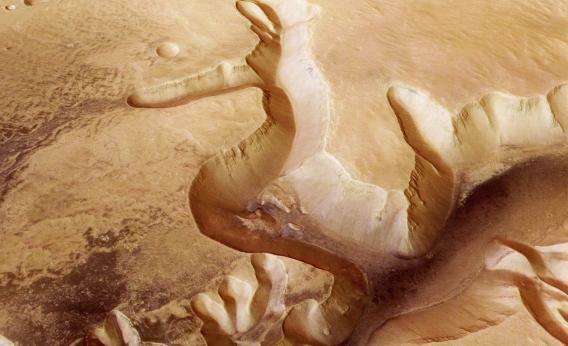 Solar insolation at Mars: , or . Mars’s surface temperature is stable, which means all this energy falling on the surface is matched by radiation back out into space. In order to increase the surface temperature, one needs to reduce the amount of back radiation. Greenhouse effect! Greenhouse gases are not my area of expertise, but I’ll make some educated guesses anyway. I’m going to guess that converting 1/1000 of Mars’ atmosphere to methane would be a good start. Energy to do this: (mainly in electrolysis of water). This is electrical energy, which is easier to come by than rocket fuel. Nuclear power would be the way to go, but even solar power could take a decent bite out of this. Especially if solar-electrolysis becomes industrialised. Another approach not entirely without merit would be to increase the solar flux by using GIANT mirrors. Energy required to launch a mirror to Mars-Sun L1 that would increase insolation to Earth levels: . If you have nuclear powered self-replicating machinery, you could process a near-orbit asteroid (~200m across) into a giant mirror/solar sail and sail it into position. That would reduce energy requirements incurred from building on a planet and launching that way. Another proposed idea is to dig a few dozen enormous holes in the crust to let heat out to the surface. Energy required to remove of rock with explosives and trucks: . Drilling deep shafts and setting off a daisy chain of big nukes could also do the trick, but would also cause lots of radioactive fallout. Conclusion: A few different methods for terraforming are presented. The most conservative require on-order of energy. While this is a lot, it’s comparable to the annual production of a large nuclear or coal-fired power station. It is likely if a few thousand people on Mars can attain self-sufficiency that many of the above methods and more no-one has thought of will be employed to try and warm the atmosphere a little. However, a warm atmosphere of methane, CO , and HFCs are still poisonous, even if you can grow a few plants outside. Creating a breathable atmosphere would take centuries and possibly a gas mask. Venus is a MUCH harder bet than Mars. While Mars could be terraformed in only a few thousand years, no gently-gently approach could ever work on Venus. But Venus is nearly as big as Earth, with similar gravity and heaps of sun. Floating cities are all very well, but we need to house billions of humans, not millions. What’s the next step? First, the atmosphere has got to go. 200 atmospheres of crushing pressure, heat, and sulfuric acid rain. Energy required for giant mirror to reflect all light from the surface: . Same discussion as with Mars applies. After a hundred years or so, the atmosphere freezes out onto the surface. While you wait, you can use it to absorb the impact of a few icy comets and moons, in order to give Venus some badly needed water. . But we’re not done yet. We need a day-night cycle that will allow plants to grow. Venus’ day length is 116 days. We could recycle our freezing-mirror to create artificial days and nights on different parts of the planet, including the side facing away from the sun. But if it ever screws up between now and the end of time, everyone will either burn or freeze to death. All the precipitated atmosphere will rapidly asplode outward, and you’ll be back to square one, only melting houses will be on youtube. We need a way to spin Venus faster. The obvious approach is to crash asteroids into the surface to make it turn faster. Cost of this is per asteroid, and you’d need all the asteroids in the solar system and then some. The problem is that Venus weighs MUCH more than the whole asteroid belt put together, and although an asteroid crashing to the surface seems fast, it’s moving at most 10 or 20km/s faster than you are. This is not really good enough. In fact, the mass of the atmosphere, now frozen out hundreds of meters thick all over the planet, is about the same as the mass of the entire asteroid belt, and it’s already on Venus. All you have to do is chuck it off the surface fast enough and in the right direction, and you can spin the planet in any direction you like. In order to spin the planet up to a 24 hour day AND get rid of the frozen atmosphere, it needs to leave the surface at about , which is a few percent of the speed of light. You would need tends of thousands of mass drivers scattered around the equatorial regions running constantly for decades at least. Needless to say the material leaves the surface faster than Venus’ escape velocity. In fact, it can escape the sun, the galaxy, and the local group as well. A few well-aimed shots at Mars might help to top up their atmosphere. The energy required to do this is , which is about what the sun produces in a year. Obviously some pretty radical fusion reactors will be needed, but that’s the easy part of the problem. After this is done, the energy budget can be pilfered to sculpt a few ocean basins and continents, synthesize a desired atmosphere, open the sunshade a little, and start growing plants. Conclusion: Because of the rotation problem, terraforming Venus will require insane amounts of energy. Whereas terraforming Mars requires a fraction of the energy reaching only it from the sun, Venus requires a substantial fraction of ALL the energy from the sun. Postscript: I have no doubt made errors. Let’s discuss in the comments on Quora and figure out better estimates. Also, some discussion of the energy cost to then apply these techniques to try and remedy some of the problems on Earth wouldn’t go astray. Is interplanetary power transmission possible? Why does the centrifugal force reduce the effect of gravity?